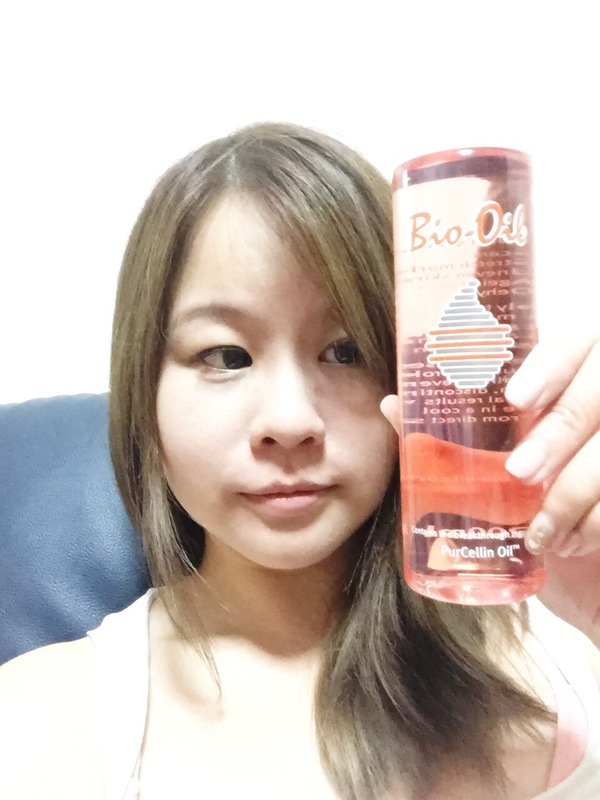 Christmas Special : The Largest bottle of Bio-Oil in singapore! it’s Christmas season round the corner and sometimes buying gifts is so challenging for your partner. what about a gift that is suitable for both sexes? You can see that this bottle is bigger than my face. i like to use Bio oil as a hand cream .Bio oil is formulated with vitamin A & E , natural oils – Lavender, calendula, rosemary and chamomile. Also i will use it to apply on my legs especially after jogging so that my leg muscle will be soothe and at ease. i find that alot of massage oil out there is pretty oily and bio oil is highly effective and absorb pretty face into the skin. this helps my skin to stay moisturized. what i like about bio oil is that it does not make my skin oily after using it and there is no oily residue. Also, earlier on i have a scar on my leg because i fell down while jogging. So here’s a photo of my leg and how the scare has lighten. i use it everyday and massage the bio-oil onto my scar. Although it had not been fully disappear, it has lighten very much obvious. so, i will continue to use it and hopefully it will be completely disappear. i am pretty happy with the result that the scar mark has lighten.if u also have scar mark at your legs, u can try bio-oil. i will continue to use it as it does take a bit of time to lighten the scar mark but i think it is worth the time . i would definately recommand this product as it helps me in my scar mark reduction. so what are you waiting for… time to grab your Bio-oil at all leading watsons… just $35.90 and have a multi-purpose oil in your bag 🙂 explore the benefits and share with me the way u use it too and how it benefits you! Bio-oil is available in three sizes and is available at all leading pharmacies, selected departmental stores and hospitals.